The Adaxa Suite incorporates an integrated Touchscreen Point of Sale system designed to be compatible with modern touchscreen based POS terminals. It allows the user to interact with the application without mouse or keyboard and supports barcode readers. 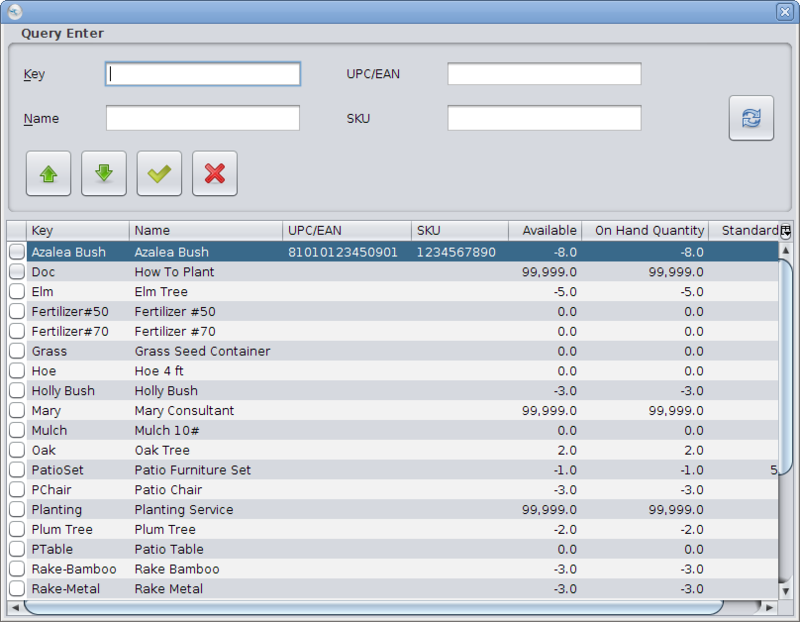 Sales Orders created in the POS system automatically create the shipment from inventory, the sales invoice and the payment (unless payment on account is selected for a valid customer who is not on credit hold). The system allows multiple payments using different payment methods for a single sale. 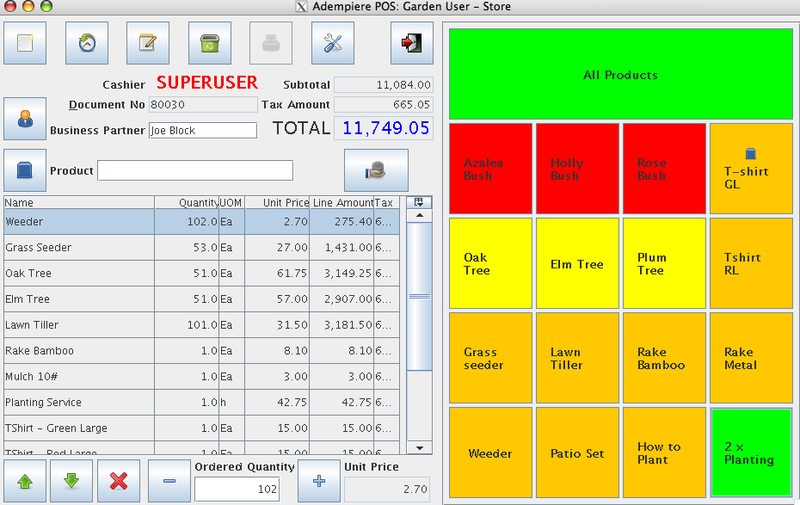 Promotions which have been defined in ADempiere are automatically applied in the POS. 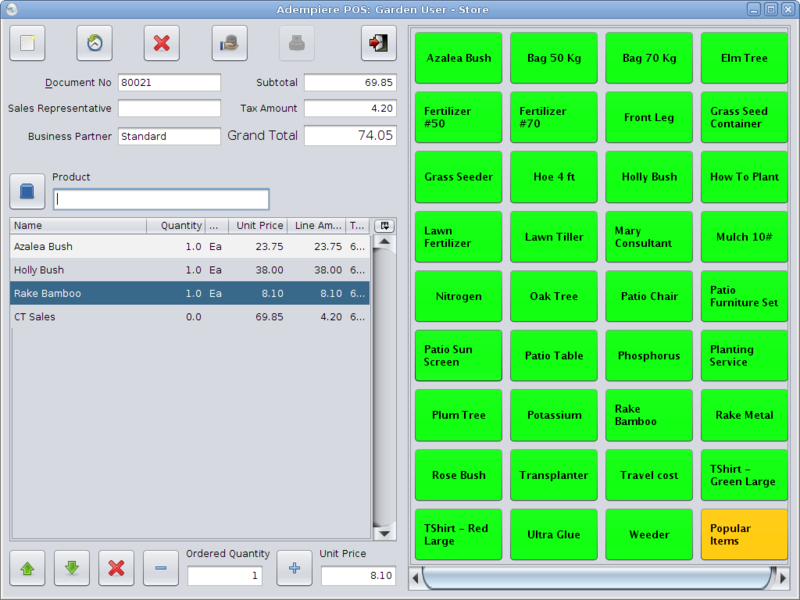 Multiple orders can be open at any one time and a single order can be updated from multiple POS terminals. The POS provides an on-screen touch keyboard and number pad which is invoked if the user touches the screen in a field requiring text or numerical input. By default, the system runs directly connected to the centralized database so there is no requirement for separate data transfers or polling. It is expected that POS machines not on the main system Local Area Network (LAN) will connect with automatic fail-over to a 3G wireless connection in the event that the main Wide Area Network (WAN) connection is disrupted. Where this is not possible separate ADempiere systems can be set up at the remote locations and ADempiere replication implemented. The standard data entry screen is displayed below. Note that all fonts, colors, images and keypad functions on right of window are user-definable. 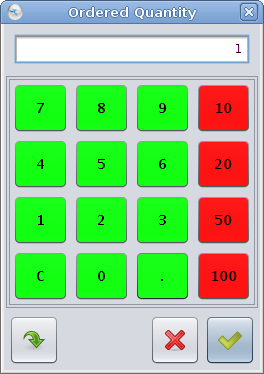 The on-screen keypads are shown below. Order information is displayed on the left of the screen, with large buttons giving access to the required functionality. Pressing the “Popular Items” button returns the user to the original screen. This functionality allows complex hierarchies of products to be accessed with very few touches on the screen. The “Product” field allows product identifiers to be entered directly to search for products. This can be done using a keyboard, a barcode scanner or the onscreen keyboard as shown below. If enabled the onscreen keyboard will display when any text field is activated, similarly an onscreen numeric keypad will display for any numeric field. The key layouts are user definable using the same infrastructure as the main keypad, allowing arbitrary characters to be assigned to buttons and keyboard layouts to be nested (e.g. the button marked “ABC” leads to an uppercase version of the keyboard). Product searches are conducted using the Product query dialog accessible by pressing the button next to the Product field or by entering a partial identifier in the Product field. Multiple orders can be opened simultaneously by pressing the “New” button without processing payment for the current order. 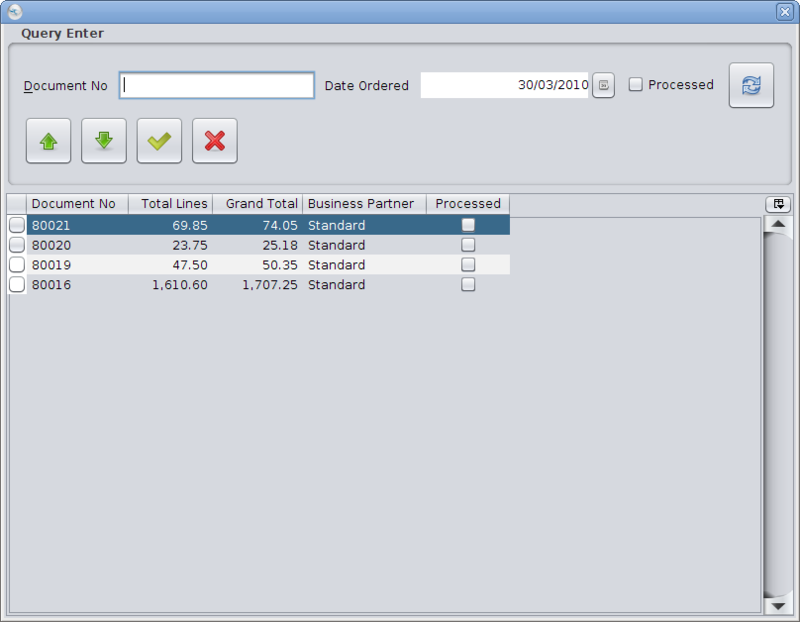 All open orders are easily viewed and retrieved using the “History” button which displays the following dialog. 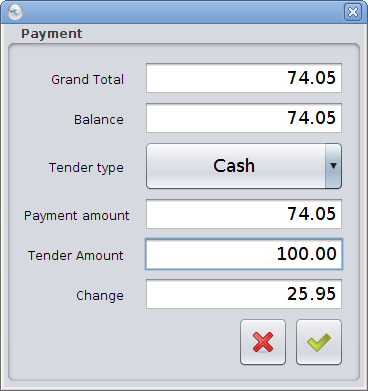 Once an order has been entered, payment can be taken by pressing the payment button at the top of the left panel. 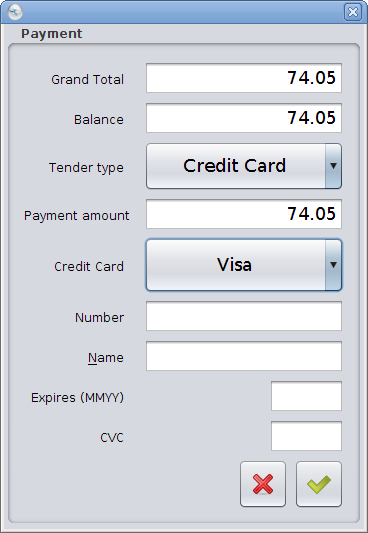 This displays a dialog offering various payment options, selectable from a drop down list. 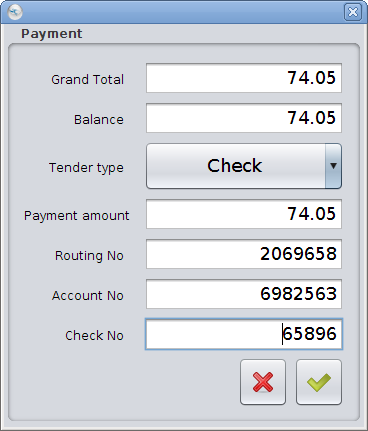 Multiple payments of any type can be accepted for the order until the balance has reached the order total and the order is paid. A range of standard reports are available to authorized users who are able to create adhoc reports using the various report writers that are supplied with the application.